I’ve done regular posts over on Instagram in recent months (you can find me here) but I haven’t shared much in this beautiful blog space lately. Things have been up and down with me so far this year, as is the case for so many of us with Chronic Illness I think? There have been wonderful moments. Days where I’ve felt clarity, connection and joy. Moments where the deep fatigue has lifted just enough for me to get out in the world and live a little. I visited family in Ireland back in early May, which was wonderful. Connecting with my late Dad’s side of the family and seeing the beautiful green countryside in which I spent such happy times during my childhood felt healing and so very precious. Being well enough to actually make this trip filled me with so much gratitude that at times I couldn’t stop smiling. This year I’ve also welcomed my beautiful baby niece into the world, Josephine. Watching her settle into life and bond with her big brother and the rest of our family has brought so much joy to us all. She’s just a lovely little soul. Recent months have also seen me enter into a new relationship. With a man who’s patience, huge heart and grounded presence have touched me in ways I could never have imagined. Less than a year ago, I had in my mind that it was going to be impossible to have a romantic relationship until I was at a certain level health wise. The idea of this saddened me and really accentuated the isolation and feelings of powerlessness that can come alongside life with a chronic illness. We miss out on so much. Missing out on love and connection in addition to everything else is painful, especially when it feels like it’s a direct result of being unwell. One of the main things I needed to learn before I could even be open to the possibility of a relationship, is that we are all worthy of love, whatever level of health we are at. It sounds obvious when you read it simplified into one sentence like that perhaps, but for me, I had a deeply rooted limiting belief around this that was blocking things for me in ways I didn’t even realise. It wasn’t until I learned to truly love and accept myself, that I could begin to open to letting anyone else into my world. I’ve got a lot to say on this topic, its been a huge source of learning and emotional growth for me, I’m sure I’ll write more on it in the coming months. As you can see, some wonderful things have happened so far this year. But there have also been challenges too. The year started off with a really bad patch physically. I fell down the stairs and broke my foot, then soon after came down with the flu and strep throat which ended up needing a strong course of antibiotics. The effect of the fall/foot break plus the flu and infection pretty much wiped out all of January and February. I slowly began to regain some strength during March, and by April I was beginning to feel much better. That sense of renewed hope after a setback is wonderful isn’t it? There’s nothing quite like it and this is how I felt after the dark winter months began to lift. However, since then, it’s been up and down once again. For example this last two weeks have seen me back to being housebound with another throat infection very similar to the one I had in January, leaving me with no option but to rest, sleep and do my best to surrender. I’ve had a lot of different hospital appointments and tests and also received a new diagnoses this year, which has caused some additional worry. But without a doubt, the main challenge continues to be, the day to day effects of living inside a body that feels continuous discomfort and fatigue. I feel like I have got such a yearning to be out in the world. There is so much I’d love to do, but life remains very restricted the majority of the time due to the severity of various symptoms. Even the smallest of things can be difficult. 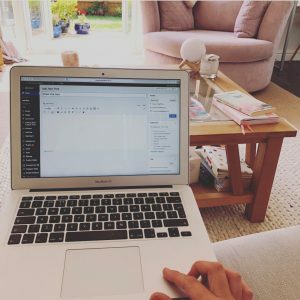 I’d love to write more regularly for example, but the reality is that I’m either too unwell to use the screen, or if I am enjoying a better spell of health, then I make the most of having a little bit of time out in the world which always means having lots of rest in between my activities. It is always such a balancing act. I would love to be able to build some structure and routine into my weeks, but the fluctuations in my health from day to day have made this extremely difficult up until now. One of the things that takes the most inner strength I think, is dusting yourself off each day, and carrying on with hope. Staying focused on the blessings in your life and reminding yourself that it is possible to heal. The relentless nature of chronic illness, the profound effect it has on your life and the focus it takes to keep hopeful, and moving forwards doesn’t ever get any easier. It tests you to the core and you end up building a resilience that would never have come about without this kind of deeply challenging experience. I’m sharing this with you, as I think its so important to be honest about the ongoing struggle that comes with all of this. It would be inauthentic for me to say I live my life in a zen like state, constantly surrendering and accepting with absolute ease. When in reality, although of course I aim to live that way, each day brings about its own challenges that sometimes bring me to tears regardless. It’s part of being human. I discovered the work of Dr Kim D’Eramo over on Facebook/Youtube earlier this year. The wisdom and insight she shares has really helped me in terms of coping emotionally with all of this and helping to anchor me back to myself and my inner strength. Kim healed autoimmune disease herself a number of years ago. She teaches how the fight against our emotions and bodily symptoms can keep us stuck in a state of resistance, as can the search to ‘heal and cure’ ourselves by external means. It’s powerful stuff and I personally have had some amazing inner shifts in recent months after watching some of her videos. As we enter the second part of this year, my main aim, is to find peace within each day. To continue nurturing my body and mind. Being kind to myself. Physically supporting my body in all the ways I know how, including good nutrition, gentle restorative yoga and meditation. Spending time in nature with my feet on the grass when I can. As well as practising gratitude and enjoying all the wonderful things I do have in my life. Although I have my ongoing challenges and setbacks, I try to remind myself not to forget how far I have come too. There have been times in the not too distant past, where I couldn’t sit up to eat. Where I couldn’t bathe myself. Where standing outside was impossible. Where I remember wishing with all my heart that I could lay still in bed and just feel a sense of inner peace as opposed to raging anxiety. So much has improved… it can be easy to forget and just see what discomfort remains can’t it. Being human means that we will always strive for the next stage. It’s what keeps us moving forward I guess. Life is a dance between the Light and Dark. In accepting this, we can gently learn to move through each phase with a sense of neutrality and peace rather than clinging to what ‘should be’. I don’t do Instagram, so thank you for sharing on here also. Lots of resonances for me… not least the ‘yearning to be out in the world’. Years of being more hermit-like not having healed me, in recent years I’ve pushed myself much harder to be out there, to belong to groups of various sorts (mainly related to deep psychology work, plus healing and meditation) that help and support me, almost regardless of the physical costs of participating. Hard to balance the fact that spiritually and emotionally they lift me up, yet physically pull me down – or at least make it harder to store the necessary energy to build myself up in my own time. So on that, I found your link to the Kim d’Eramo video really helpful. 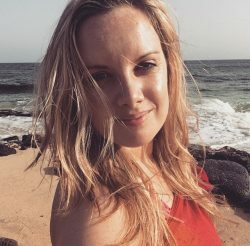 I hadn’t come across her before, but having listened to her talking on acceptance and surrender, have now signed up, as that seems to be the message I’ve been getting from various different sources over the past month or so. Obviously I’ve known of it as an approach for years… and have even paid lip-service to it, and got better at accepting… to a degree… but actually I think just to the degree that I absolutely have to, having no other choice – then as soon as choice returns, starting to fight and search for solutions again. I need to look at that more, but it does feel like the way to go – for me at least, knowing my inclination has always been the opposite. I’m about to start a new treatment – the Perrin Technique – in a week or so’s time. Have been worried about the impact it might have on me.. yet it also feels right to do so. Now wondering whether receiving any outside treatment clashes with the idea of acceptance and surrender, the idea of letting the health in the body emerge on its own, rather than trying to push it in any particular direction. Or is it possible to have that (or any) treatment whilst incorporating acceptance and surrender within the process and whatever arises? Will no doubt follow my own instinct on that in the end, but curious whether you have a view? Anyway, very glad to hear of the good things that have been happening for you, and agree with you on allowing yourself to feel sad (or however else), on the things that aren’t so good. So lovely to hear from you. Isn’t it nice how the internet can help people like us stay in touch after all of these years. Im glad to hear you’ve looked up Kim D’eramo and her videos have resonated. I had a feeling a few of my readers may like her work as much as I do. Like you said, it’s kind of stuff we know already, but Kim has a different way of delivering I think? Like, it sinks in on a different level. My opinion on your Perrin technique path, is to go for it. In one of Kim’s video’s (I’m sorry but I can’t remember which one) she does say its fine to incorporate various healing modalities with her approach, but its the way you do it which is important. For example, not frantically trying loads of random things in an anxious way, or pinning all your hopes on an external source for healing…. but gently using a protocol or treatment to support your own body in healing itself. Seeing it as additional but staying grounded and centred and knowing that your body holds so much wisdom within it. Hope this helps a little bit? I know I am currently using a mix of things. I follow the Kim D’eramo work, and am really aiming at embodying and living it (compared to passed times when, like you mentioned yourself, I’ve found myself mentally knowing things but not properly following it). I am also taking supplements that I feel fit with where I am at and seeing a Herbalist too.